I started out making simple and quick baby cards using this week's Atlantic Hearts Sketch Challenge card sketch, I was just gonna make one...then I found these little 2x2 blocks (the good things quote, BABY blocks, and the smaller "to the moon") in my Simple Stories 6x6 pad, so I was gonna make three. I was done in like 10 minutes. I did not feel creatively fulfilled - that was too easy! I made another with the teensy baby pictures. 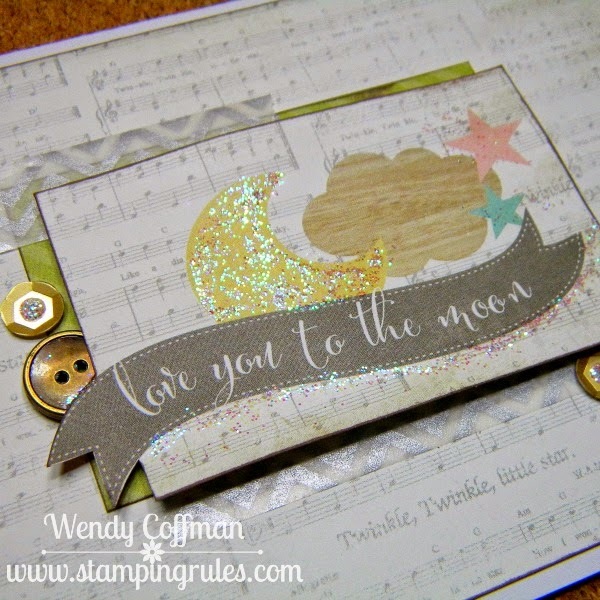 And another where I trimmed out the baby Banner from a border page. Now I'm 5 cards in and 20 minutes down, and just getting started. So I flipped that cute sketch on it's side. Grabbed this focal point from the pile of double sided scraps and did some fussy trimming. All the buttons and doo-dads for all six cards came from a bowl of random goodness where I toss things I'm too lazy to put away to save for later just in case I need a bit of something. I used the same washi tape on all six cards, and a bit of stardust glitter gel. I even added coordinating banner strips and washi tape to the inside of each card! 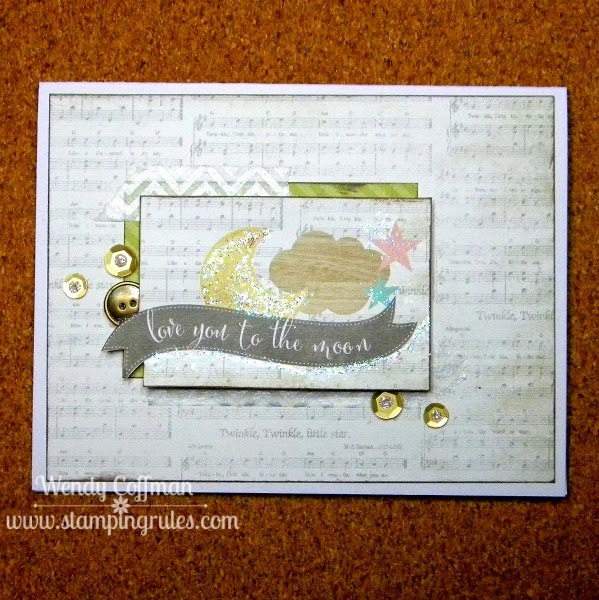 I'm linking these up to the Heart 2 Heart No Stamping Challenge...'cause Six cards, 30 minutes, no stamping at all. When a sketch is good, it's good. Hop over to Atlantic Hearts and play along. This sketch would be awesome for mass producing holiday cards! The cards are adorable, I love all of them! Thanks for playing along with H2H challenges & AHSC! 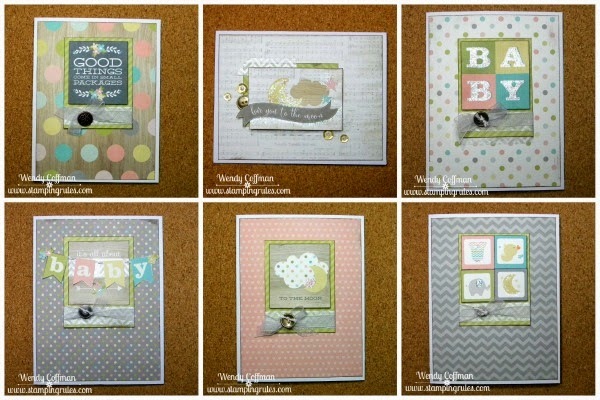 These are all so gorgeous cards- wow!